US Special Representative for Ukraine Negotiations Kurt Volker and Ukrainian Foreign Minister Pavlo Klimkin discussed the possible role of the UN in the settlement of the conflict in the Donbas during the meeting on Wednesday, October 25. “Had a great meeting with Pavlo Klimkin today to discuss Ukraine’s vision for how UN can help implement Minsk agreements,” Kurt Volker wrote in his microblog in Twitter. 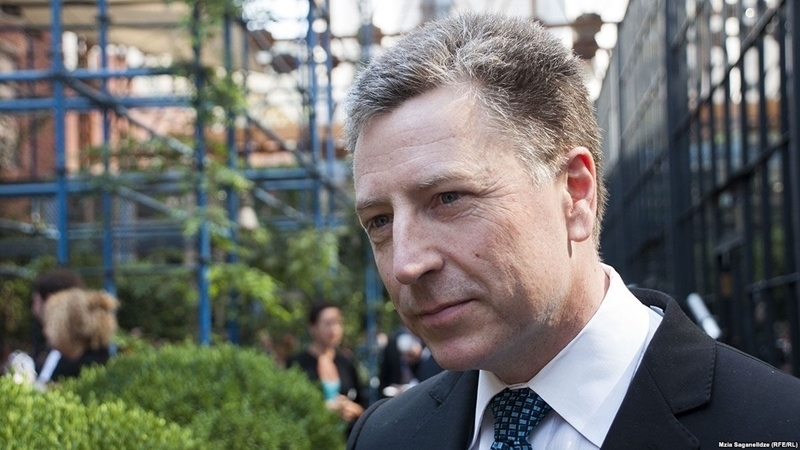 Volker did not say where the meeting took place, but, reportedly, the Head of the Ukrainian Foreign Ministry discussed cooperation with Ukraine and Germany, as well as the situation in the Donbas, in Berlin on October 25.